Ball State University respects your privacy and has established policies and procedures to protect confidential information accepted from visitors and members of the university community. While Ball State makes use of numerous safeguards to protect information held by the university, it is important to keep in mind that no transmission of data over the Internet can be guaranteed to be completely secure and therefore the university cannot guarantee the security of any information that you transmit to university websites or which you may otherwise transmit via an electronic form or message. Any information you submit through the Internet is done at your own risk. Once information is accepted by the university however, we will use commercially reasonable methods and safeguards appropriate for the type and sensitivity of the information transmitted to Ball State University. All students, employees, and others who make use of Ball State University information technology resources or services are subject to the “Information Technology Users’ Privileges and Responsibilities” policy (www.bsu.edu/security/itpolicy). Visitors to Ball State web sites should not enter confidential or personally identifiable information unless the web site uses encryption. One way to know whether a site uses encryption is if the Web address starts with https instead of http (i.e. https://my.bsu.edu uses encryption, while http://my.bsu.edu does not). We aggregate and use this information to determine general activity levels on our website as well as to identify broken links and related problems, and also to help organize the content on our website to make the most popular content easy to find. Certain sections of the Ball State website may ask for an email address or password for the purpose of sending you follow-up information. It is also possible to “opt in” to certain mailing lists for specific interests. Most pages on the Ball State website do not collect names, telephone numbers, usernames, passwords, or other such information, however where this type of personal information is collected, the web page where it is requested will identify the purposes for which the information will be used. For example, personal information is required if you are filling out an online admissions form, paying tuition and fees, registering for class, or purchasing event tickets. Ball State receives contact information from a variety of sources including completed interest cards, direct mailings, and third party mailings as well as third-parties which may have received contact information from you. Third-party vendors must agree not to use information shared by Ball State for their own use beyond what they have contracted with Ball State to do, or to share or sell this information to other parties without permission. Be aware that these remote sites are not under the control of Ball State and no warranty or claim concerning these services is implied or should be assumed. Remote sites may have different policies regarding privacy (or no policies at all) and hence you should avoid entering personal information into such remote sites unless you have an independent and reasonable belief these sites can and should be trusted. If you have any doubts about entering your personal information, do not do so and instead contact Ball State using the information provided below. 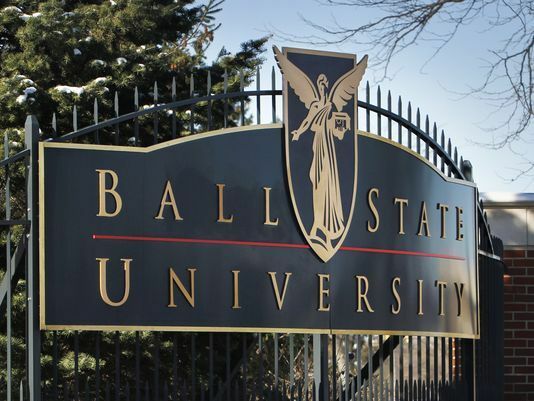 Ball State will not knowingly publish on its website confidential information of its students, employees, alumni, or other constituents. In particular, the release of student information is governed by the Family Educational Rights and Privacy Act (also known as FERPA, or the Buckley Amendment). For more information about FERPA, follow the link above. The Ball State website is not directed at children under the age of 13 and it is not Ball State’s intent to collect personal information for children under the age 13. In the event a child under the age of 13 is interested in any Ball State event or program, a parent or guardian must contact the appropriate Ball State department for additional information. Absent a few limited exceptions, it is illegal under the Children's Online Privacy Protection Act (COPPA) for websites to knowingly obtain personally identifiable information from a child under the age of 13 without parental consent. As such, children under the age of 13 are prohibited from submitting personally identifiable information to the Ball State website.